Whether for personal or business, flying somewhere can be something of a military operation – you need to be there at a certain time before the actual flight. You need to arrange all your luggage and other items to travel and be certain that the vehicle transporting them is large enough for everyone and everything coming with you. 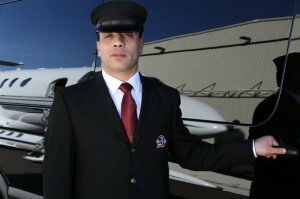 This is where using a limousine service for airport transportation can have a number of benefits – and adds that safety factor as well. Booking a luxury chauffeur service to take you to the airport might seem like a luxury – after all, won’t a taxi or an Uber get you there? And the answer is that both will get you there but there are clear benefits to using a professional car service instead. Safety is a big factor, especially when you are traveling to or from a big city like New York. While the city does maintain controls over who can drive the taxis on its streets, it has no control at all over who is behind the wheel of an Uber. And as terrible recent stories have shown, there are times when this can go very wrong. On the other hand, when you use a professional limousine service, you can be certain about who is arriving for your scheduled pick up. The company you will be dealing with will only hire top professionals with solid backgrounds and ensures that they are fully trained. This means you can travel safely in the knowledge that you are in the best hands. Safety, Security, and Professional Service can all be delivered with a professional chauffeur service. Whether you are traveling for business or on vacation, time is a big factor in any trip on a plane. This means reliability of the transportation service you use is crucial – arrive too late and you miss your check in time. But arrive too early and you have an even longer wait than normal – wasted time that could be better spent. While taxi drivers always aim to be on time, there are factors that can affect them beyond their control and this often means they are late. When using a professional NYC airport transportation service, you don’t have to worry about being late and missing your flight. Typically, drivers will arrive ahead of time so there is plenty of time to load luggage and then travel to the airport. A professional limousine service providing airport transportation service not only monitors traffic but determines the best and fastest route to eliminate and minimize any delays. For the return journey, drivers will collect details of your flight to enable them to track the flight and be certain that they are in the right place, at the right time. Sometimes, they will even suggest a particular pick up point so you know where to head and easily meet up with your vehicle. Dispatcher and reservationist have access to the latest Flight Trackers and GPS systems. The fleet is equipped with advanced GPS technology that monitors all vehicles location in real-time. This allows our dispatch and reservationist to quickly coordinate and pinpoint a meeting point at those extremely busy and congested airports. 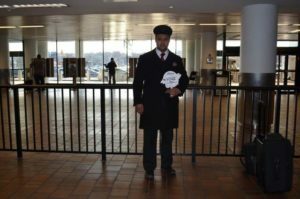 Another completely practical reason for hiring a limousine service to travel to the airport regards the luggage issue. Have you ever tried to get two adults, two children and enough luggage for a two-week vacation into a normal taxi or even a car? It can be an impossible task that leaves you squashed together, often with luggage on your lap. Even when traveling for business, if you have larger luggage items, these may not easily fit into a normal car. With a limousine service, on the other hand, that space is so useful. You can easily select the perfect vehicle to accommodate all passengers and baggage which will allow all to sit in comfort while there is plenty of room for your luggage. This makes for a more comfortable journey and reduces stress, allowing you to arrive at the airport relaxed and looking forward to your trip. For business travelers, you can even do a little work while you travel. Using a professional car service isn’t just something you can do for yourself. If you have business visitors coming to the city, then this is the perfect way to make that all important first impression. Nothing shows that you value them more than having a uniformed chauffeur waiting for them at the airport or a clean, well-appointed vehicle to bring them to the meeting. With the flight tracking that companies such as Bermuda Limousines use, we are always on time for our pickups, even if your flight isn’t on time. We offer the cleanest, smartest vehicles with professional drivers who know the New York area and can always find the best and quickest route to any destination. You can sit back and relax, enjoy the ride and arrive at your destination on time. Consider a Luxury Chauffeur Service – For Reasons Other Than Transportation!